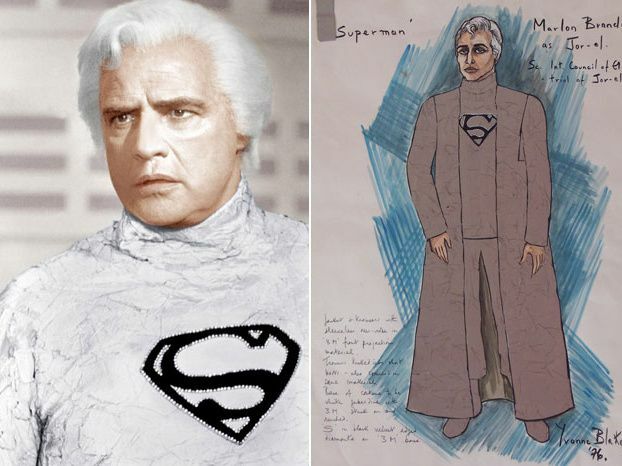 The Krypton elder glass piece robes, Luthor’s east coast dandy suits, Lois Lane’s functional yet feminine pinks, those trilbies and cornfield aprons, the Zod ensemble black suits, Miss Teschmacher’s camp secretarial flourishes, Christopher Reeve’s iconic red, white and yellow suit and that careful straddling of ’50s Americana and a Studio 54-era New York … Yvonne Blake’s costume eye and sartorial thinking is a great part of the effort that went into SUPERMAN: THE MOVIE to make it look effortless. 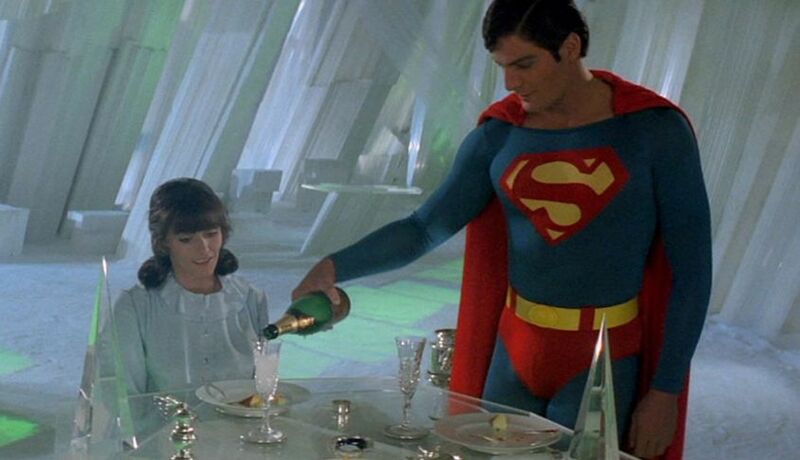 SUPERMAN THE MOVIE and the subsequent SUPERMAN II are iconic and vital to WATCHING SKIES as their looks and instantaneous connections were part of the iconography and imagery of Richard Donner’s 1978 classic. 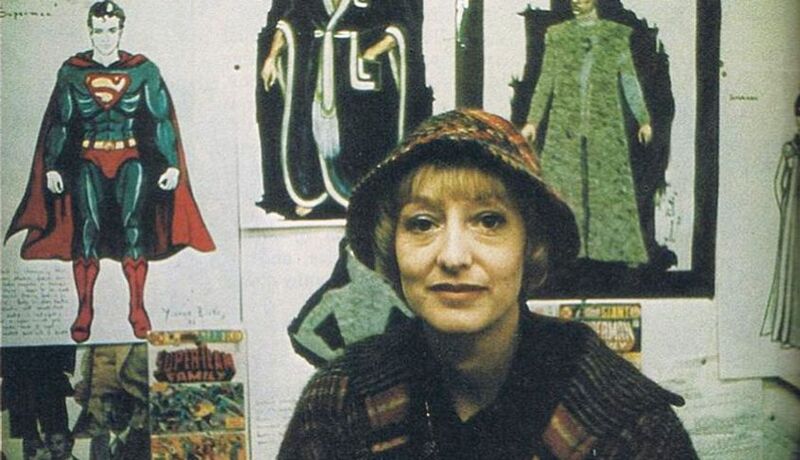 That is mostly down to the quiet patience and keen eye of costume designer Yvonne Blake who has sadly passed away. There are not many people who could get away with dressing Brando in a vanilla cream wig, Hackman in a bald cap and camp yellow lapels straight from Liberace’s closet and Stamp in a fetishistic vinyl one-piece. To this sky kid – it will always be the Reeve suit however that Blake made her mark on cinema forever more. With not an inch wrong in any direction (the length, flow and colour of the cape alone is movie perfection), the look allowed Reeve to bring that small-town messiah quality to Donner’s classic and is a vital reason we still have comic book superhero movies today.